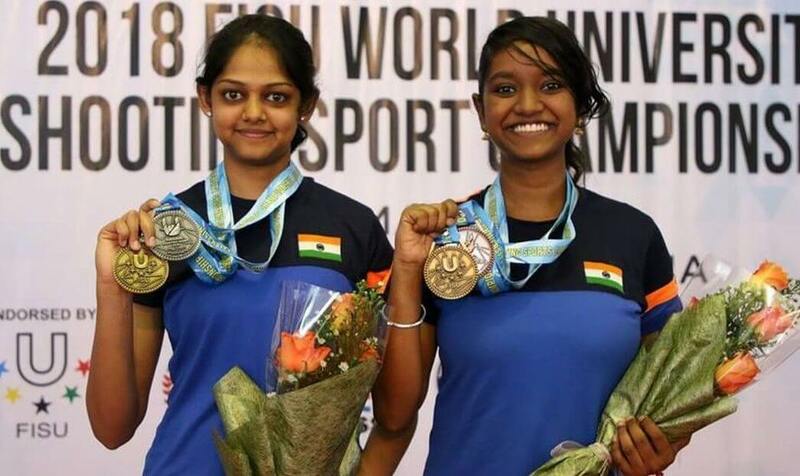 Meghana Sajjanar (left) & Elavenil Valarivan at the 7th World University Shooting Championship. Meghana Sajjanar and Elavenil Valarivan won silver and bronze medals respectively in Women’s 10m Air Rifle at the 7th World University Shooting Championship in Kuala Lumpur, Malaysia. Meghana shot a score of 248.5 in the finals to win silver while Elavenil, the National Champion, took the bronze with 226.5. Czech Republic’s Gabriela Vognarova won the gold, 0.9 point ahead of Meghana. Earlier in the qualification, Elavenil shot a perfect 400/400 while Meghana shot 398 to qualify for the finals. Lin Yingshin of Chinese Taipei also shot a 400 but finished 7th in the finals. The third Indian in the event, Trisha Mukherjee shot 395 to finish 21st in a high scoring qualification stage among 48 shooters. 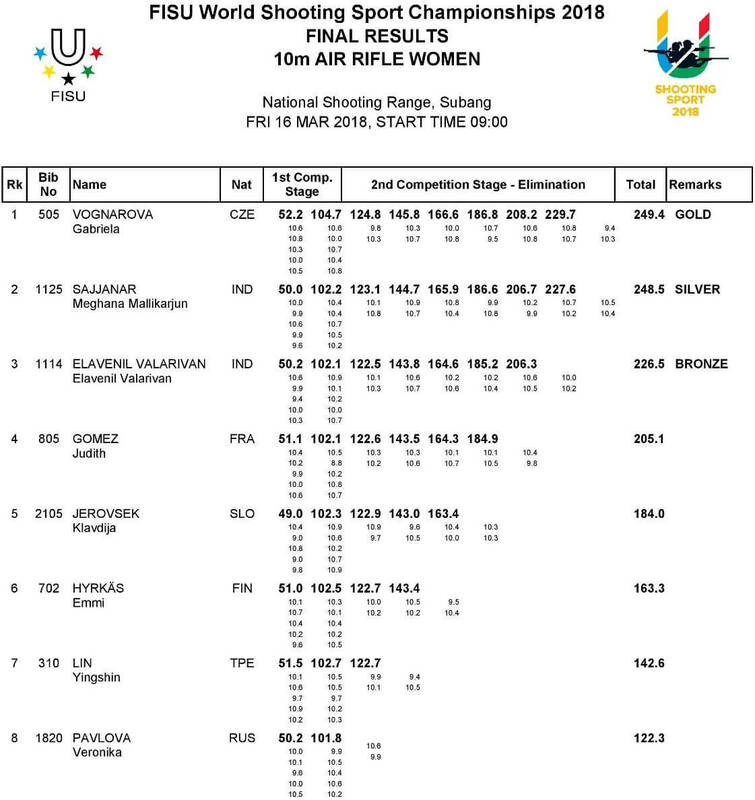 The very fact that three shooters who shot scores of 397 could not make it to the finals, shows the level of competition. The trio of Elavenil, Meghana and Trisha bagged the team gold for India with a score of 1193. Russia won the silver with 1188 while Czech Republic took the bronze with 1187. Women’s 10m Air Rifle. 1. Gabriela Vognarova (Czech Republic) 249.4 (397); 2. Meghana Sajjanar (India) 248.5 (398); 3. Elavenil Valarivan (India) 226.5 (400); 21. Trishna Mukherjee (India) 395. Women’s 10m Air Rifle Team. 1. India (1193); 2. Russia 1188; 3. Czech Republic (1187).